Restore body and mind, whilst mastering the slopes of the French Alps, with a wellness retreat that mixes yoga with skiing. The renowned Chalet Les Brames in Meribel, France, is what can only be referred to as Europe’s best-kept secret. Nestled in an expanse of private land, amidst the exclusive Brames enclave, framed by the snow-capped Alps, this property has long since been loved by the jet set for its opulence and bespoke service. Time spent in these mountains is enormously restorative, and nothing clears the mind like admiring the astonishing landscape and breathing in the fresh, clean air as you prepare for a day’s exercise on the slopes. 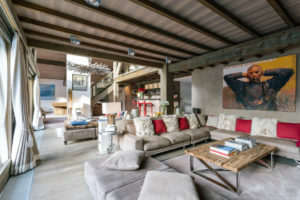 And now visitors to Chalet Les Brames have a chance to connect even more deeply with the incredible beauty of the mountains through a brand new wellness concept called Snowga. The Snowga programme is a combination of skiing and yoga and has been designed specifically for women, although men can have a go too. Through Snowga you are invited to enjoy a profound sense of physical and mental wellbeing, achieved by focusing on the fundamental principles of yoga: breathing, stretching, mindfulness and adapting to the surroundings. Snowga participants are also encouraged to commit to a specially curated menu tailored to complement the Snowga wellness schedule of gentle yoga and Pilates, skiing, sports massage, osteopathy consultations and spa relaxation. It focuses on warming yet nutritious meals such as broths, lean proteins and fresh pressed juices.The Chalet, which oozes stylish sophistication, boasts six luxurious en-suite bedrooms, an obligatory outdoor Jacuzzi and multiple treatment rooms. Relax in its woody Alpine charm, where the thread count of the sheets is high and the bathtubs are deep – just perfect for soaking ski-weary muscles at the end of a long day. It is a space of pure indulgence. 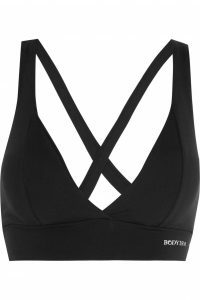 BODYISM This lightweight and breathable sports bra, from the brand created by James Duigan, the inventor of the cult Clean & Lean diet, boasts a flattering cut to ensure you look and feel. FENDI These snug fleece-back stretch jersey leggings have been designed in the label’s New York hue, a flattering Merlot, and have a handy side pocket for carrying around essentials. 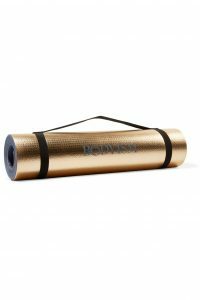 BODYISM Be the most fashionable yogi in class with this metallic gold yoga mat. Its high-shine finish ensures that your workout accessories are just as stylish as your wardrobe. 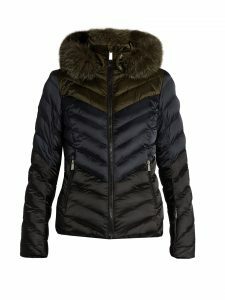 TONI SAILER This retro, quilted nylon jacket has been designed by the skiwear label named after the iconic Olympic skier. It is made with Thermolite insulation and boasts a fox fur trim for optimal warmth. 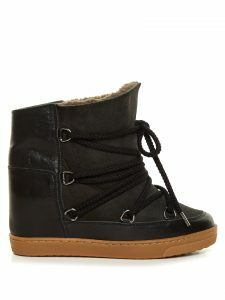 ISABEL MARANT ÉTOILE Gone are the days of ugly snow shoes, thanks to these suede and leather Nowles boots, which are a cult hit. Not only are they comfortable with their super-soft lining, the concealed wedge heel elevates off-duty looks.